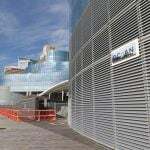 Atlantic City needs to grow visitation to the beachfront gambling town in order to support the arrival of two new casino resorts. During a 12-day stretch in late June and early July, Hard Rock and Ocean Resort seemed to do just that. The reimagined Boardwalk properties officially opened on June 27, a day earlier than planned after the state’s Division of Gaming Enforcement gave an early go-ahead to commence operations. 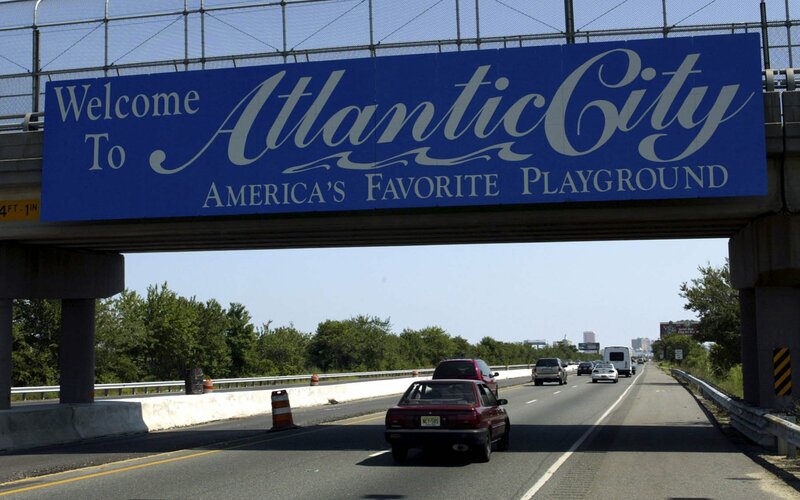 The Press of Atlantic City reports that figures supplied by the South Jersey Transportation Authority show that there was a heavy traffic increase between June 27 and July 8. The authority says 818,255 vehicles went through the Atlantic City Expressway Pleasantville Toll Plaza during the 12-day stretch. That number is more than 49,000 more cars than June 28-July 9, 2017, a comparable period that also had the July 4 holiday and four weekend days. Hard Rock, the former Trump Taj Mahal, and Ocean Resort, the former Revel, both utilized celebrities to ring in their grand openings. Mark Wahlberg and Jamie Foxx made appearances at Ocean, while Carrie Underwood and Pitbull performed at Hard Rock. 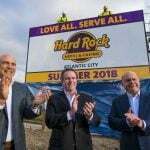 “With almost 30 million people within a three hour’s drive, we believe this project will create a new renaissance in the future, expansion, and excitement of Atlantic City,” Hard Rock International CEO Jim Allen declared. Hard Rock, Ocean Resort, and several other casino resorts were sold out during the July 4 holiday. The 6.4 percent traffic increase at the Pleasantville Toll Plaza is a nice data point for Atlantic City officials, but analysts say it doesn’t necessarily mean overall visitation was up during the period. Though the Atlantic City Expressway is the main artery for vehicular traffic, many visitors also utilize Routes 30 and 40, as well as rail. 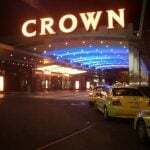 A more accurate overall visitation picture will be unveiled when the casino hotel occupancy numbers are released for June and July. Those statistics come in the DGE’s quarterly reports. “”It certainly suggests a very substantial increase of visitors during that period, but I would need more information,” analyst Anthony Marino added. 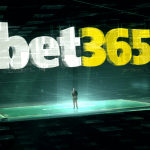 Five casinos closed between 2014 and 2016. Hard Rock and Ocean Resort are betting nearly $1 billion that Atlantic City is ready to once again support more than seven casinos. Recent financials don’t necessarily support that theory. Land-based gross gambling revenue (GGR) was up 5.1 percent in June, but year-to-date remains down more than four percent. With strong online gambling wins factored in, total GGR has fallen 2.3 percent through the first half of the year. The DGE reports that hotel occupancy in the first quarter was at 77.9 percent. That’s down from 81.1 percent during the same period in 2017. The good news is that the average nightly rate has soared from $103.42 to $121.47.